What is the Difference Between a Commercial and Residential Mortgage? Hospitals today are not the same as you may remember from back in your youth. Hospitals, for the most part, are all about making a profit these days, and, since the Affordable Care Act (“ACA”) became a reality, more and more people find themselves with elective surgeries are on the rise. The ACA has also increased the need for more hospitals, as well as doctors and related hospital staff. Truly the ACA has been a win-win situation in the medical field, especially when you discover that as recently as 2014, hospital’s uncompensated care costs were estimated to be a whopping $7.4 billion, or 21% lower in 2014 than they would have been in prior years due to the absence of coverage expansions. One of the ACA’s chief aims was to incentivize hospitals to promote high-quality care and avoid unnecessary re-admissions, and slowly and surely this is coming to fruition. If you’ve ever had a hospital stay, or seen a hospital bill for a friend or loved one post-hospital stay, you know the cost of that hospital visit can be quite formidable. Did you know that the average cost for an inpatient stay across the 50 states in our union is: $1,878.00 for state/local government hospitals, $1,791.00 as it relates to for-profit hospitals and $2,289.00 as to non-profit hospitals? First of all, the bread and butter for a hospital is financing – financing to create and build a state-of-the-art hospital or financing and continued access to capital in order to sustain that hospital. Continued money funneled to the hospital is critical to a hospital’s operations, and suffice it to say that financing aids in providing ongoing liquidity to maintain and improve patient care. Improved patient care is the bottom line. During the economic downturn, hospitals lost valuable capital achieved through various types of funding, and, additionally, elective surgeries were down – people worried about undergoing surgeries for reasons such as their extended absence from work might find another person permanently taking over their job, or the related expenses relative to surgery were tough to accommodate into their budget. Hospitals were well aware of these facts, and, therefore were very grateful when the Affordable Care Act bailed them out and they could once again prosper and flourish as the viable institutions they had been in the past. The current economic market, as well as the Affordable Care Act, have provided more capital and better resources to hospitals since both banks and the public market are much more willing to provide financing than ever before. Additionally, more hospitals today look for working capital, as opposed to fewer real estate loans. 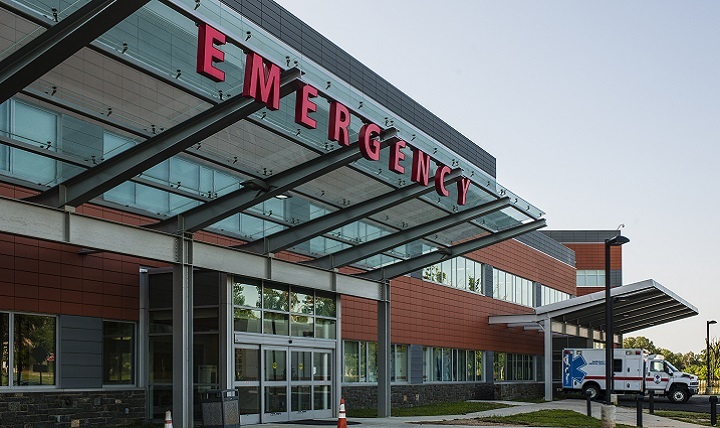 Hospitals, are just like a business nowadays – they flourish due to asset-based, revolving lines of credit when it comes to financing. Hospitals look to benefactors, as mentioned above, to contribute funds to be used for research, especially for a teaching or research hospital. Many philanthropists are eager to help fund important research programs, in addition to providing routine monetary boosts to hospitals to help cover payroll and to purchase and/or replace equipment. For those financial institutions that serve as the bank to funnel funds toward hospitals to be used for expansion and/or acquisition of superior and state-of-the-art medical equipment as well as salaries of staff to operate same, hospitals must be choosey about whatever financial institution they utilize, ensuring that the lender is strong, committed to the healthcare industry and understands their needs fully while funding the hospital’s working capital. More and more big hospitals are merging with their former competitors to create bigger and better medical institutions. While this is not always welcome in business such as cable companies, where the government worries about monopoly situations transpiring, in the current hospital market, the flurry of acquisitions, joint ventures and consolidations is welcomed by hospitals and very beneficial to its patients. Smaller or weaker hospitals have been acquired by the larger or stronger facilities resulting in a re-allocation of services being provided as to in-patient care. Even such joint ventures with physician groups and/or sales to hospital groups are also boosting the viability of today’s hospitals. Yes, hospitals are merging to create state-of-the-art facilities and superior staff, all to create a better experience in the long run for you – the eventual patient. In other areas of the healthcare market, today’s hospitals may not rely on mergers or acquisitions or be dependent on benefactors as much as they do on physician-owned specialty hospitals which are springing up everywhere. It is essential that all hospitals across these United States continue to have access to needed capital to improve the health of the members of their community, make jobs available and help to support the local economy. Hopefully all hospitals, large and small, will continue to prosper through the use of funding, either privately or through a lending institution, and through the assistance of insurance brokers, hospitals will continue to be a importable and viable part of our life.